This bundle of fluff, sitting on her owner's feet for security (!) is a Pyrenean Shepherd dog, known in France as the Berger des Pyrénées. 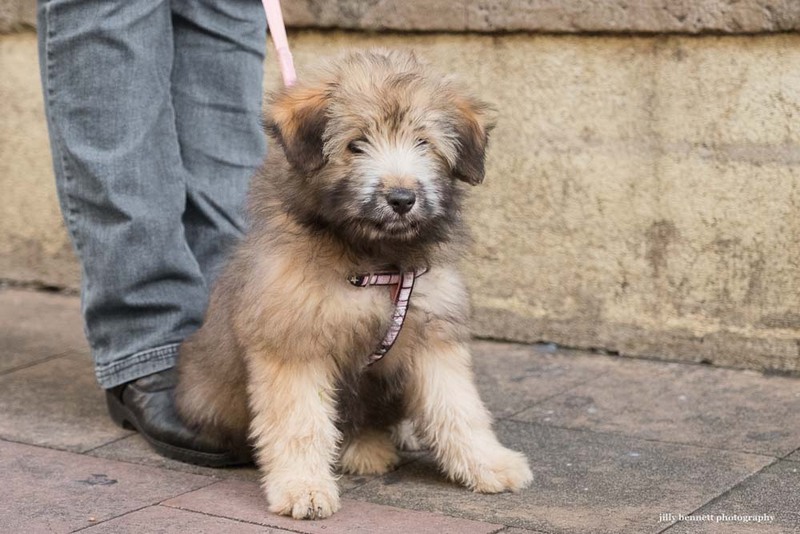 She's called Lady, is two and a half months old and lives in Menton.